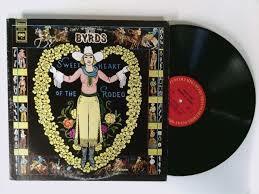 On the 50th anniversary of their groundbreaking album, Sweetheart of the Rodeo, Byrds co-founders, Roger McGuinn and Chris Hillman will perform the album in its entirety and tell the stories that brought the album to life. Along with cuts from Sweetheart of the Rodeo McGuinn and Hillman also sing some other favorites from their long recording careers. The pair will be joined on stage for the tour by country legends Marty Stuart and His Fabulous Superlatives. Stuart himself plays the famous 1954 Fender Telecaster originally owned by legendary country-rock pioneer Clarence White, a performer on Sweetheart of the Rodeo. This special tour will be making a stop at DPAC on October 15, 2018.